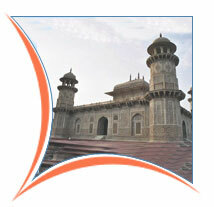 Delhi is a bustling metropolis which successfully combines in its fold the ancient & the modern. Its strategic location was one of the prime reasons why successive dynasties chose it as their seat of power. New Delhi also reflects the legacy the British left behind . The division between New & Old Delhi is the distinction between the capitals of the British & the Moghuls respectively. So, wherever the visitor goes, he will invariably confront the citys’ past. After breakfast, city tour of Agra. Visit Red fort, which was built by Emperor Akbar in 1565, and additions were made up until the time of his grandson, Shah Jahan. Afternoon, free for individual activities. After breakfast, transfer to the airport to board flight for Kathmandu. 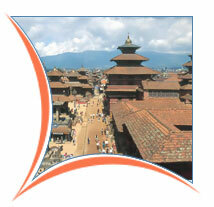 On arrival in Kathmandu meet and assist at the airport and transfer to prebooked hotel. After breakfast, Kathmandu City, Swayambhunath & Museaum. In the afternoon, excursion to Patan and Tibetan Handicraft cetnre. After breakfast, visit Pashupatinath, Boudhnath & Bhadgaon. Afternoon, excursion to Dhulikhel. Return to Kathmandu after sunset. After breakfast, free for individual activities. In the afternoon, transfer to the airport to board flight for Delhi. 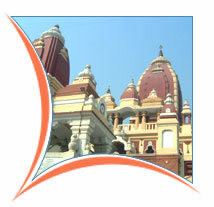 On arrival in Delhi meet and assist at the airport and transfer to prebooked hotel.